Largest crowd for a U.S. women's match last year was 20,862. I'd think they've got a good shot at topping that. After a pre-sale round, tickets went on sale for the general public today. More than 23,500 tickets have been sold for U.S. women's match at Busch. It will be largest U.S. crowd in more than 11 years. Original plan was just for lower bowl at Busch, but upper levels will now be used too. To say that fans are excited might be an understatement. 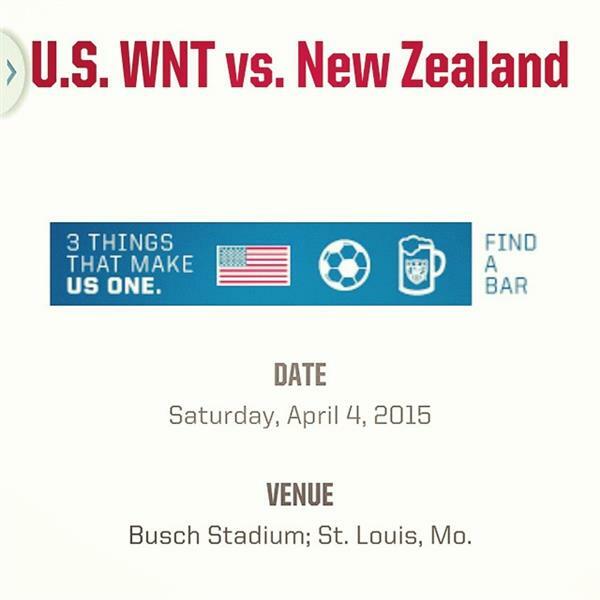 @jstriebel22 I bought tix to the #USWNT at Busch. The Kid and I are super stoked to be going. Can't wait. Nerinx and Ladue represent! “@si_soccer: #USWNT names 24-player roster for friendlies vs. France & England: http://t.co/SI0ph8PZD8"
Lori Chalupny (Nerinx) and Becky Sauerbrunn (Ladue) are St. Louisans named to the roster for matches in Europe in February. A roster for the April game hasn't been set. The game will be a few months before the start of the 2015 Women's World Cup, in Canada. 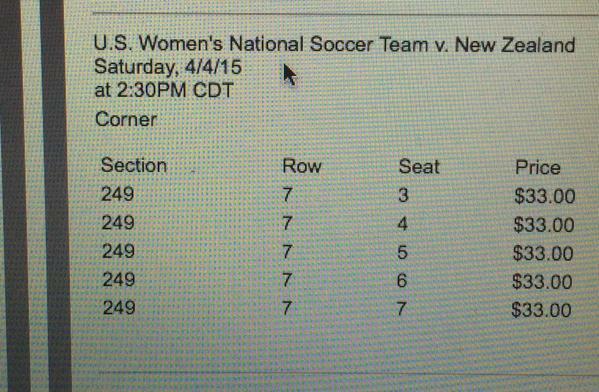 We got tickets to the #USWNT game! #SCOUGS are taking over Busch Stadium! 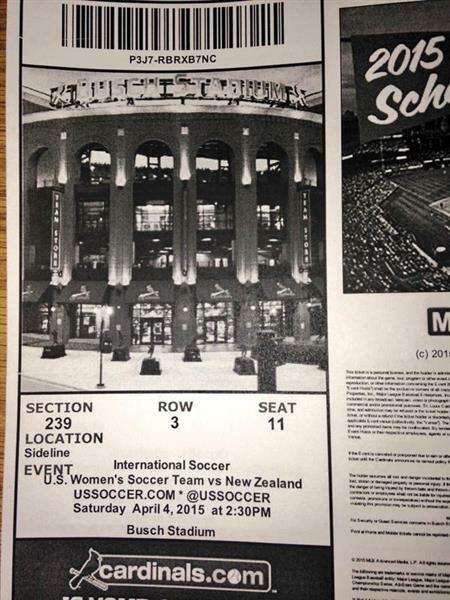 TICKETS ARE BOUGHT FOR THE #USWNT GAME AT BUSCH STADIUM!!! 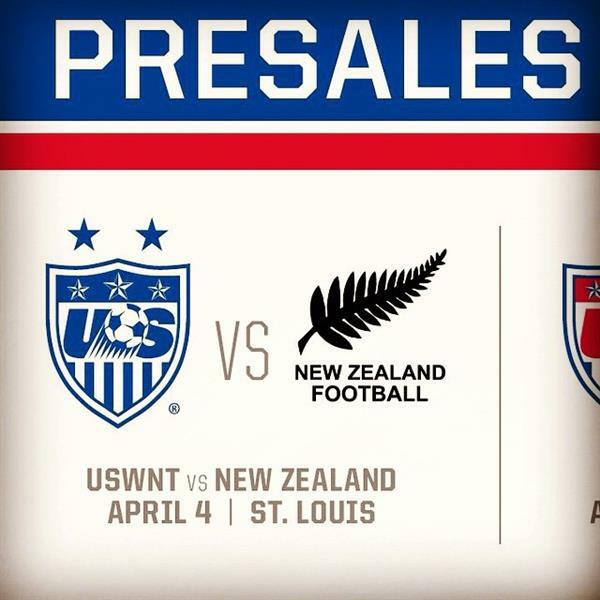 Just bought my tickets for #USWNT Vs New Zealand! So excited! Couldn't find anyone to go with, so yes, I'm going alone! Love my team! Kelsey, you won't be there alone -- at least 23,500 other fans will be cheering with you.